SEO (Search Engine Optimization) is something you do on your website and it may be helped by the information you gain from the Google trends tool. 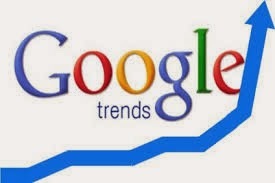 It is possible to pull information from the Google trends tool and apply it to your website so that your website becomes more search engine friendly. This will then help you rank your website up through the search engine results pages. All of the Google Webmaster Tools are free to use and so is this one, even though this tool is applicable to more people than just web masters. This is one of the bigger selling points of the tool besides the fact that anybody can use it for free. You can see which trends are currently taking place around the world, and you can keep track of how they are moving across the world. You can look into five categories where trends are concerned and you can research into your own niche and into the factors affecting your website keywords. You may even use the trends to predict future trends or predict which keywords are going to become more popular and which are going to fade into the background. That information may be used to help your own SEO. You can conduct research regarding the trends with certain keywords. You can see if your current keywords are still popular England to warrant such a prominent position on your website. You can look into if you should change them for keywords that are a little more popular. You can reassure yourself of how well your keywords are performing and re-confirm your faith in your current keyword profile, and you can do it all for free with regular searches on the Google trends tool. It is possible to target people in your own country too, but the trends tool is not very candid about specifically small areas. Still, you can see how the trends for certain keywords differ in your country when compared with other countries. More importantly, you can learn about your competitors’ brands. You can use the trending tools to see if your brand and your business keywords are doing well online. You may also see if your competitors are doing any better. You may see if lots of people are searching for your products and if they are searching for your competitor’s products or your competitor’s business names. You get an insight into the things that your competitors are doing well, after all it is difficult to rank up the search engine if people are searching for your competitors by name. It allows you to see how other people act online and allows you to see a pattern in their movements. Doing this means that certain keywords may be targeted and studied to see a pattern. Is one keyword always less popular when another keyword becomes popular? Plus, is there a halo effect that surrounds certain keywords, where if that becomes popular then so do a bunch of others. If you can identify such trends, then you are in a very good position to guess which trends are going to occur next and will be able to take advantage of them. Not all keyword have a life expectancy where they go up and then down and stay down. There are some keywords that routinely become popular and then unpopular at similar times every year. Easy ones are things such as "Halloween" and "Christmas" but you can see persistent trends at other times in the year too, such as how "turkey" becomes more popular near thanksgiving and Christmas. You can use this information when creating your keyword profiles or when making up your affiliate advertising. For example, if you run a carpet cleaning company, then you can use the Google trends tool to find out when your services are in the most demand. Times such as just before Christmas and around spring are going to be peak times. You can use the Google trends historic data to find this out and then target certain keywords during that time. You may also increase the amount of advertising that you do around that period so as to take better advantage of the keyword at its peak. My name is Sonia Jackson. I represent the web-site http://www.cool-essays.com We’ll help you to solve all problems with writing different essays and research papers in a short time.